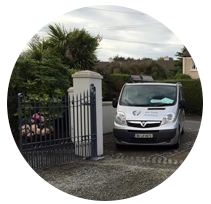 ATS Fire & Security install CCTV in Dunleer and all over Louth, Meath, Dublin and Monaghan. Cameras are a great tool in the fight against crime. 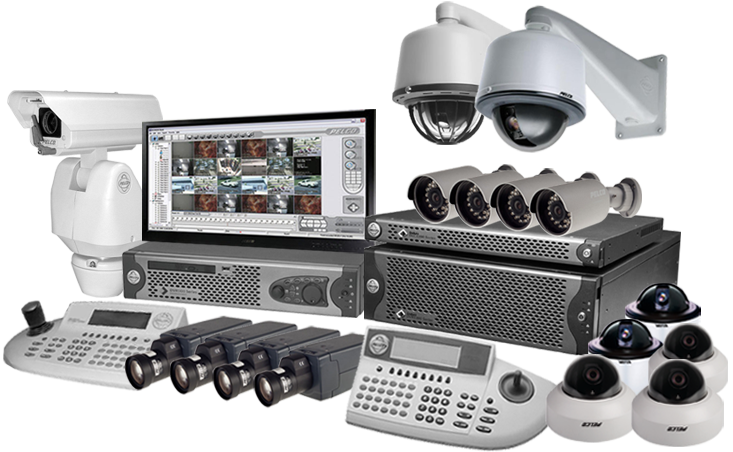 CCTV can help homes and businesses by providing protection against loss from theft. 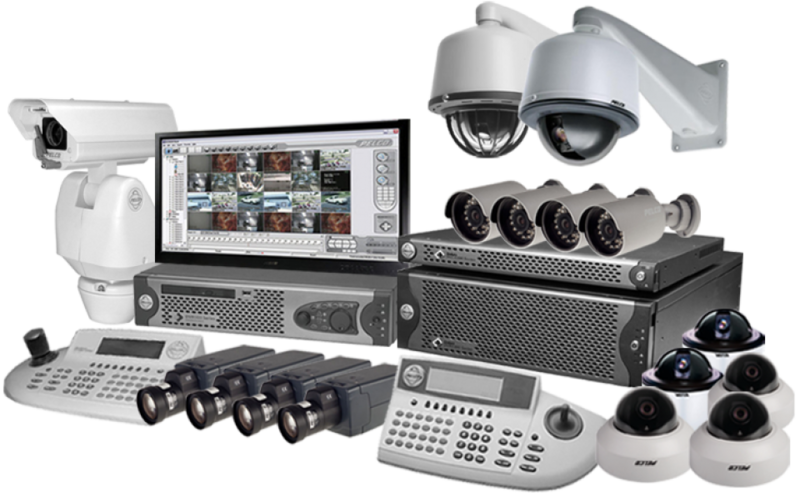 ATS Fire & Security provide the design, installation and maintenance of CCTV security systems for residential and commercial premises. 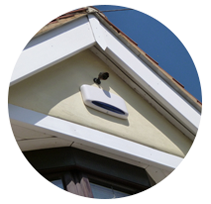 We provide a wide range of security cameras suitable for homes and businesses installed at a competitive price. All of our CCTV systems are smartphone and tablet compatible to provide that extra level of reassurance. 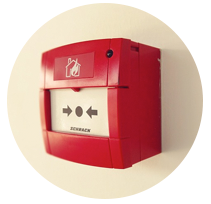 A huge benefit of choosing ATS Fire & Security is that we are a ‘one-stop-shop’ – our range of expertise means we can install CCTV, fire alarms, security and access solutions for you as well as and integrate existing systems to enhance your security. 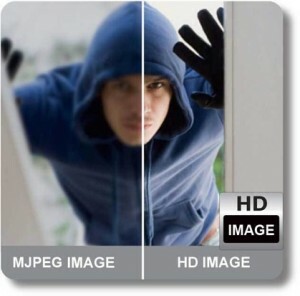 When integrated with an intruder alarm, your CCTV system can be set to record images at a higher resolution when the alarm is set or activated. When integrated with an access control system, CCTV can provide additional visual verification that a person has authorised access. Garda Guidelines on C.C.T.V. An Garda Síochána Issued by: Garda National Crime Prevention Office, Community Relations Section, Harcourt Square, Dublin, 2. Telephone: 01 6663805 Web Site: www.Garda.ie Closed Circuit Television is a valuable management and security tool. Garda Crime Prevention Officers normally recommend the installation of a C.C.T.V. system as part of a series of security recommendations generally intended to prevent or detect crime. Closed circuit television can be very effective in maintaining security. Video evidence can help with security enquiries or investigations and assist in securing criminal convictions. The visual recording of incidents, for evidential or investigative purposes, has many benefits and with a competitive customer driven market is no longer cost prohibitive. C.C.T.V. systems will vary in size and complexity depending on their purpose and the defined security operational requirements. However, the basic purpose of any system will be to observe a scene and the activities that occur within it. The observation may be:  Covert – the camera is concealed  Discreet – the presence of the camera will be known to some people, but its appearance will not automatically suggest its purpose  Overt – the appearance of the camera will be designed to clearly indicate its function and maximize the deterrent effect For crime prevention overt C.C.T.V systems are usually more suitable whereas discreet or covert systems are more appropriate for crime detection and prosecution. The decision to invest in a C.C.T.V system should be made only when it has been decided the purpose for which it is intended. Clearly defined “Operational Requirements” should be agreed between the installer and the customer before investing in any such equipment. 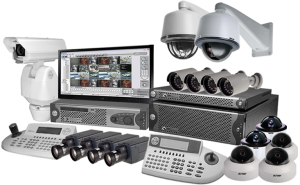 The choice of cameras, monitors, recording equipment and storage medium will be governed by the defined “Operational Requirements”. Operational Requirements determine which areas or subjects necessitate monitoring, detection, recognition or identification standard of viewing and recording. A reputable C.C.T.V company will clearly understand the distinction of each chosen function. All will impact on the choice of any given system. The ability to capture images in all weather and lighting conditions may also necessitate additional expenditure on support equipment. C.C.T.V is a complex matter and great care should be taken in the selection of any supplier and installer. It is prudent to select a recognised reputable company. Cost factors should not be the primary consideration when deciding on the latter. The following guidelines should be observed to maximise the benefits your system will give:  Control of the system should be coordinated from a central point  Access to all equipment should be strictly controlled by nominated personnel  All recording facilities and recorded data should be held in locked purposely constructed security cabinets and out of public view  System integrity is vital. A register of the recorded data, whether on tape or disc, and persons handling them should be kept. Failure to ensure the integrity of the recorded evidence can lead to it being inadmissible in any subsequent legal proceedings.  The quality of all recordings should be checked regularly. Is the time and date function accurate? 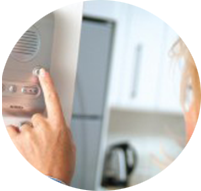  Consider integrating your system with your intruder alarm. An alarm activation can then trigger selected cameras to record in real time.  Regular servicing and maintenance, usually every 2000 hours, is necessary. Where V.C.R tapes are in use they should be replaced regularly. Purchase 31 tapes at the commencement of each calendar year utilising a nominated one each day of a calendar month.  Never delay in reporting system faults.  Monitors should be correctly positioned for viewing. Remember – others may rely on a C.C.T.V system for help.  Audit your system regularly and review the operational requirement. Do not let the criminal be the first to highlight any shortcomings The Monitor Monitor sizes typically used in C.C.T.V. Systems include 9, 12, 14, 17, 21 and 27 inches. The distance between the viewer and the monitor usually governs the choice of size. The 17- inch monitor has a typical viewing distance of 10 feet for the operator while a 21-inch monitor allows a viewing distance of over 15 feet. Monochrome monitors can have twice the resolution capability of colour units, though technical advances are constantly improving the performance of the latter. The Video Recorder Many C.C.T.V. users require a permanent record of the camera surveillance activity. Videotape was the main recording medium usually utilising a video recorder with a timelapse mode function, however this has now been superseded by digital recording technology making it possible to store video images on either a computer hard drive or compact disc. The immediate benefit of digital recording and storage is swift data and picture frame retrieval and interrogation. Housings and Enclosures Most C.C.T.V. camera/lens assembly, used in both internal and external applications, require housings to protect them against dust, vandalism and extremes of weather. Many different housings are available, with accessories such as thermostatically controlled viewing windows, sunshields, blowers for hot environments and heaters for use in extreme cold. Dome shaped housing enclosures are proving very popular because of their discreet nature and 360 degree manoeuvrability. Performance Standards for C.C.T.V. Obtaining image detail is obtained at the cost of a camera covering and viewing a smaller area. Taken in terms of recording the image of a person on screen: To monitor and control – the captured image should occupy not less than 5% of the screen size For Detection Standard – the captured image should occupy not less than 10% of the screen size For Recognition Standard – the captured image should occupy not less that 50% of the screen size For Identification Standard – the captured image should occupy not less than 120% of the screen size The most common complaints for the disappointing performance of many C.C.T.V. systems include:  the subject was too small, or not in view long enough  the images were out of focus or moving subjects were blurred  cameras were not covering the relevant area or the lighting levels were insufficient System Design Good System design is vital when contemplating installing a C.C.T.V. network. Better results will be obtained if C.C.T.V. equipment is correctly selected, installed, adjusted and maintained. Factors, which should always be considered when designing a C.C.T.V. surveillance system include:  The areas to be covered and how much detail is required  Where coverage is required by day and night the available lighting levels – lighting conditions required for a colour system will also be different to those for a monochrome system  Is the location internal or external and will the system be integrated with other security systems, e.g. 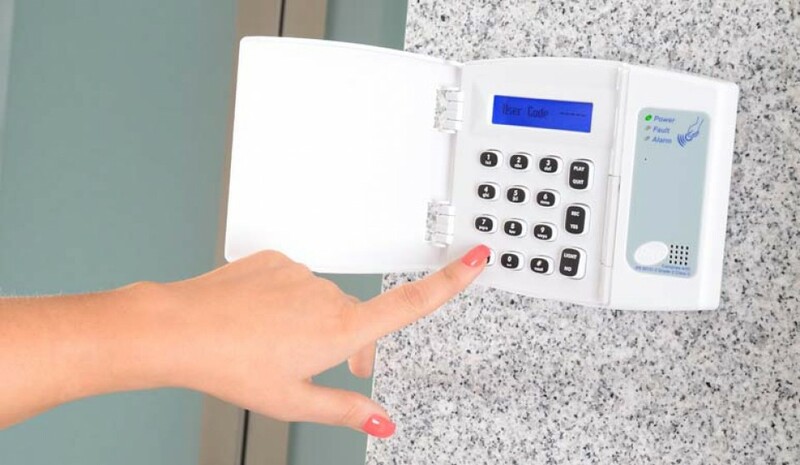 the Intruder Alarm system  How will the system be monitored and by whom?  Are recording facilities required and what recording storage medium will be utilised?  Will the system need to be expanded in the future?  What type of maintenance is required? Using Video Recordings as Evidence To be acceptable in a court of law video evidence must be carefully processed to the highest standards; otherwise, it may ultimately be inadmissible when challenged by lawyers or counsel. The following guidelines should be observed:  There must be evidence of continuity of handling of the recorded evidence from the moment of recording right up to the its production in court  The video recording medium must be the original recording  There must be no evidence of editing, interference or manipulation of the recorded data  The recording should include a time and date generator and should be sufficiently long to establish the facts it is intended to prove The use of C.C.T.V. in the security environment can be very advantageous. Once the end user has identified realistic performance goals for a system as part of an overall crime prevention/reduction strategy, then its effectiveness can be recognised, measured and valued. It is paramount that the intended role and operational requirements of a C.C.T.V. system are predetermined and agreed. As a management tool it can be used for incident reduction or post-incident analysis, to act as a deterrent or to provide valuable support to Security, Health and Safety personnel. It can be used as a valuable support to Garda crime investigations. Whether it is the small corner shop or the large factory, a C.C.T.V. system can be designed to suit the needs of each individual or group. 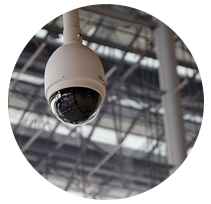 Applications can vary from a single camera system that monitors a specific vulnerable area, to multiple camera systems providing comprehensive surveillance of a large complex or site. Like any investment consideration, it is always prudent to seek professional and independent advice before installing C.C.T.V.